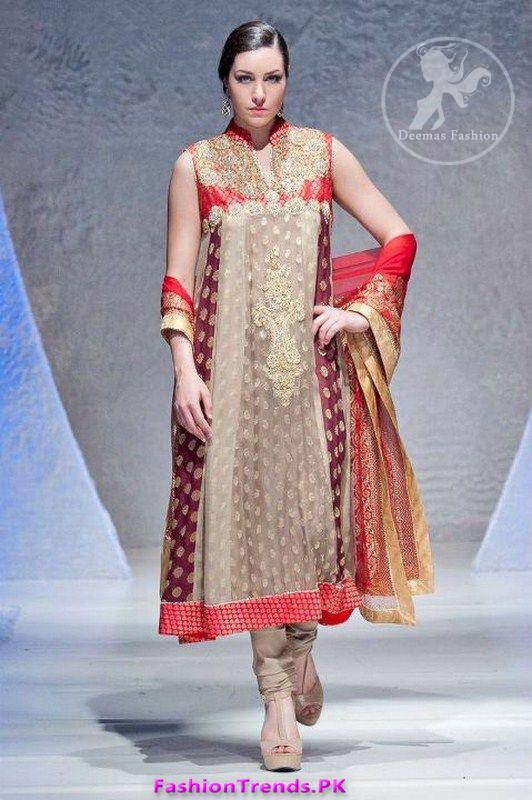 Tags: Churidar Pajama, Fawn, Frock, Maroon, Multi Panels, Orange Red. Designer Wear Multiple Panel Frock bodice has been embellished. Center panel has been adorned with large motif.